One year old LIKE NEW! Parker Plan Elevation C, many upgrades, BEST LOT in neighborhood w/ FENCE! Granite & quartz countertops, fireplace w/ remote, SS GE Profile appliances, double oven, gas stove, walk-in pantry, white wood shutters facing house &faux wood blinds elsewhere, 65" Samsung 4K 3D TV w/ sound system over fireplace CONVEYS. Keyless entry. Oil rubbed bronze hardware, upgraded carpet, built-ins, & MORE! This town home has a vaulted ceiling in Master Bedroom as well as a Garden Tub in the Mstr bath. Eat-in kitchen & separate dining room. 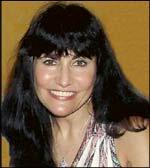 Light and airy! Privacy fencing, 4x6 shed for storage. Great Location! Bright and airy with luxurious floor plan on huge corner lot! Built-in bar off dining area with a wine fridge, spacious eat-in kitchen, large MBR w/ vaulted ceiling and walk-in closet, secondary BRs connected by a buddy bath. Large closets everywhere PLUS pull-down attic! 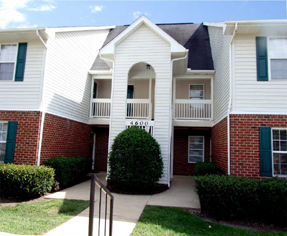 Fantastic location just minutes from 540, Triangle Towne Center, BJ's, and more! UNDER CONTRACT IN 1 DAY! Freshly painted and move-in ready! Kitchen has stone backsplash and SS appliances, site finished hardwoods in kitchen and dining areas, elegant dining room with built-ins, loft with built-in shelves, luxurious garden tub, fully fenced flat back yard and more! Cul de sac, lovely & immaculate, resort-style living with screen porch overlooking relaxing inground pool in private wooded fenced back yard. 1st floor master suite w/ bay window, teen suite or large bonus. Storage galore. Near downtown historic Wake Forest and right next to Flaherty Park. Built in 2004. Open kitchen w/ tile backsplash, hardwood floors in all living areas. Fenced in back yard, common green space across street. Extensive crown moldings and wainscotting. Security system. Awning over patio. 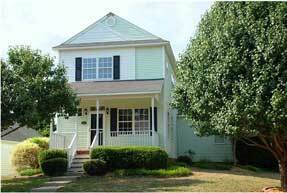 Near downtown historic Wake Forest and Joyner Park! Built in 2006. 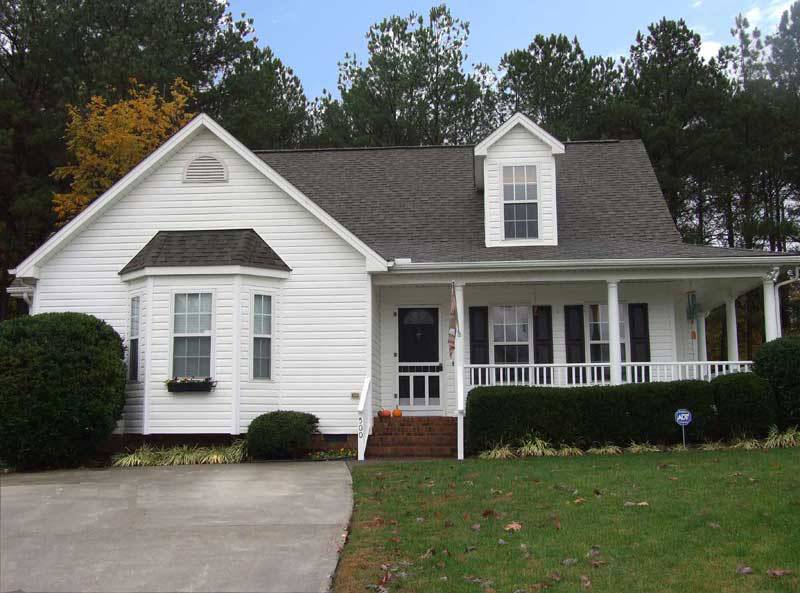 GREAT location in the heart of Cary, NC! Freshly painted and carpeted! 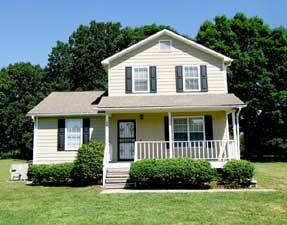 Large master bedroom with large private bathroom with whirlpool! Second bedroom with full bath, open kitchen, great living area and large dining room. Plenty of storage space. Covered porch overlooks woods and has extra storage. Adorable one-of-a-kind home in this fantastic neighborhood! Rear entry 2 car garage with large parking pad, screen porch fully enclosed, fenced in yard, upgraded tile, 3 lazy susans in kitchen, brand new SS fridge, large walk-in master closet, Jack & Jill bathroom, brand new 13 SEER HVAC system, great neighborhood and location! All the amenities, pocket parks, greenways, boardwalks, close to shopping, and MORE. 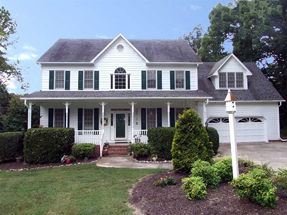 Home temporarily off market during painting and recarpeting, but Coming Soon! 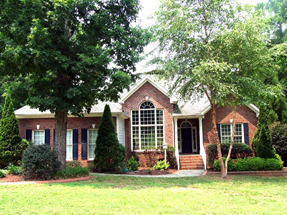 Flowing floorplan offers formal areas, arched entry to family rm, built-ins in LR and family rm. Large kitchen w/center island, granite countertops, 2 pantries. Mstr bath features double vanities, garden tub & large W/I closet. Bonus rm w/back stairs. Inlaw qrts w/entrance, living & bedrm area, bath/shower. Above-grnd pool w/surround deck, wooded, private lot. Lots of storage! Bright and open floor plan w/ cathedral ceilings, palladium windows, freshly painted with NEW carpeting and polished hardwood. Quartz countertops. Laundry room with cabinets and sink. Luxurious MBR suite with jacuzzi. His/her walk-in closets in MBR and MBR has direct access to screen porch. Large beautiful private lot with TWO wired storage sheds/workshops. 2nd floor Bonus and walk-in attic space. Oversized garage. 1-year warranty! Former Parade of Homes selection! 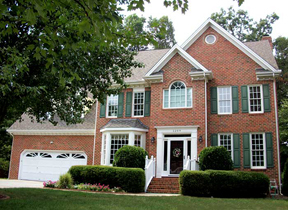 Striking brick front w/ stone accents, 3-car garage, 2-story foyer, professionally faux painted kitchen w/ gas stove, granite countertops, country sink, crown molding, large family room w/ built-ins, marble FP, luxurious master suite w/ sitting area, huge walk-in closet. 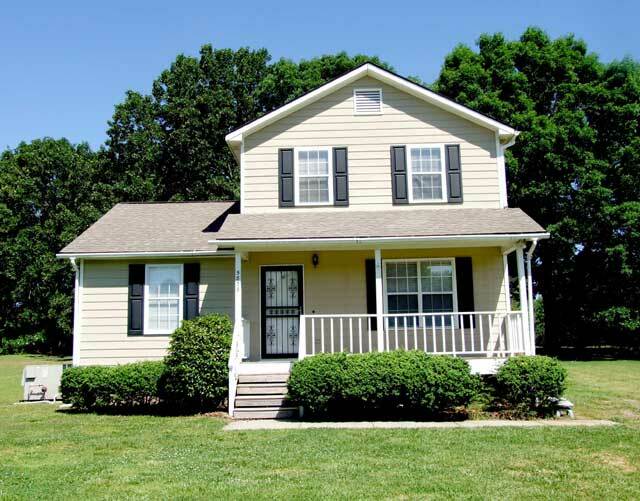 38 x 12 deck overlooks private fenced yard & in-ground swimming pool w/ sturdy pool cover. 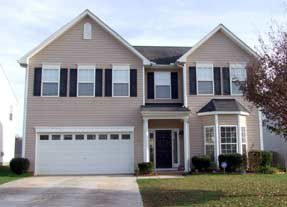 Large walk-up attic, spacious bonus room w/ built in shelves, walk-in crawl space, & more. Main level MBR w/ cathedral ceiling. New dishwasher & deep walk in pantry. New or freshly cleaned carpeting & vinyl, freshly painted. Large shed/workshop wired for electricity. Back yard very scenic w/ shade trees & privacy. Wheelchair accessible, although ramp easily removed if desired. 1-year Warranty included! Outside of home painted 3 years ago. Some hardboard replaced w/ fiber cement. New well & septic pumps. Septic pumped 1 year ago. New hot water heater, HVAC system 11 years old. Open floor plan and fabulous back yard in popular WoodSpring! Original owners, custom blinds, kitchen island, new water heater, downstairs HVAC only 4 yrs old, laundry sink, walk-in attic storage, 2-story foyer, 4 bedrooms, huge MBR, huge Bonus, and main level office w/ French doors. Carpet in Family Rm brand new. Wood floors newly refinished. Close to Falls Lake! 1-year warranty! 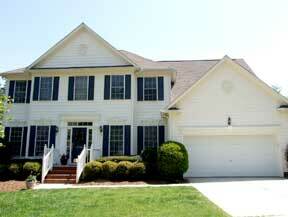 Elegant 4 BR 2.5 BTH 3408 sqft home in desirable Pinecrest Park, walking distance to Leesville schools. Open kitchen w/granite, SS appliances, all formals, large bonus, huge screen porch, deck, 3rd floor finished "teen suite", 242 sq ft unfinished attic, 2 lg master closets, new 16 SEER Trane HVAC, freshly painted, all new floors, large level backyard w/ shed, cul de sac, and MORE!